The Stimson Center and the Strategic Trade Research Institute held a panel on distributed ledger technology and trade security on September 12. Distributed Ledger Technology (DLT) is the technology that underpins digital currencies such as Bitcoin – but it has far wider applications and is being used increasingly in areas such as trade finance, export controls, and nuclear safeguards. The panel will explore the key questions and considerations in the application of this technology to trade security, including trade finance, supply chain management, and nonproliferation. Andrea Viski is director of the Strategic Trade Research Institute and is the editor-in-chief of the Strategic Trade Review, a peer reviewed journal dedicated to export controls and sanctions. Her work focuses on building networks of strategic trade research and practice through the journal, the Strategic Trade Association and targeted research projects and publications. Previously, Andrea worked as trade control, CBRN, and nuclear security expert for the European Commission and at the Stockholm International Peace Research Institute (SIPRI). Jonathan Tame is a Manager in Deloitte’s technology practice currently helping develop the firm’s blockchain capabilities for Federal, State, and Local governments. His background includes active duty time in the US Army as a military intelligence analyst, various positions as a contractor, and a role as the Chief of Force Modernization for a Special Operations organization before he left government to start his own company where he designed, built, and operated a technology discovery lab for the Department of Defense. Cindy Vestergaard is the Director of Stimson’s Nuclear Safeguards Program. Her current research focuses on the impact of evolving international safeguards obligations on states and facility operators. Her portfolio also includes chemical weapons disarmament, biosecurity and import/export controls. Aaron Arnold is a fellow with the Project on Managing at Harvard Kennedy School’s Belfer Center. His current work focuses on trade controls for preventing WMD proliferation. Prior to his current appointment, Aaron spent nine years as a non-proliferation and counter-proliferation subject matter expert at the U.S. Department of Defense and U.S. Justice Department, where he specialized in WMD counter-proliferation investigations and operations, with an emphasis on threat finance and sanctions evasion. 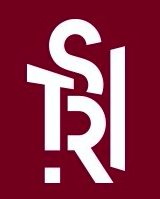 STRI is an independent non-profit institute dedicated to building networks of strategic trade research and practice through leadership, research, and innovation. © 2019 Strategic Trade Research Institute. All Rights Reserved.